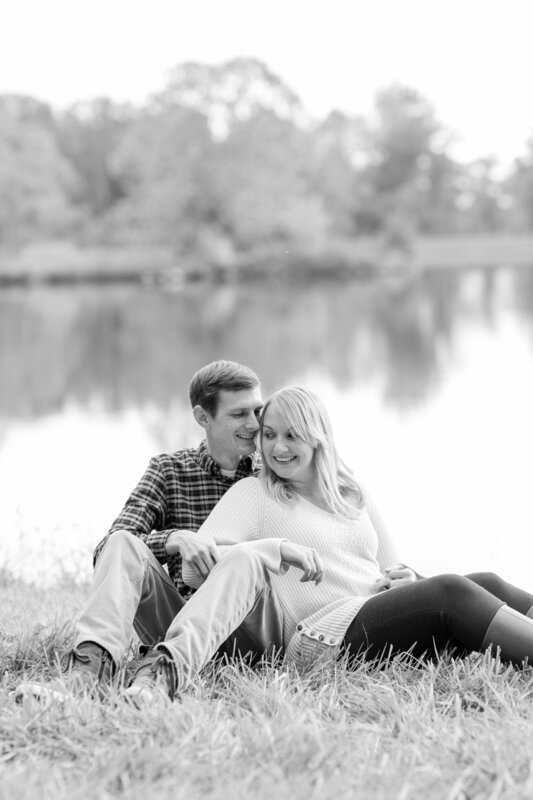 Taylor and Courtney are getting married next summer at Pond View Farm and they can't wait! 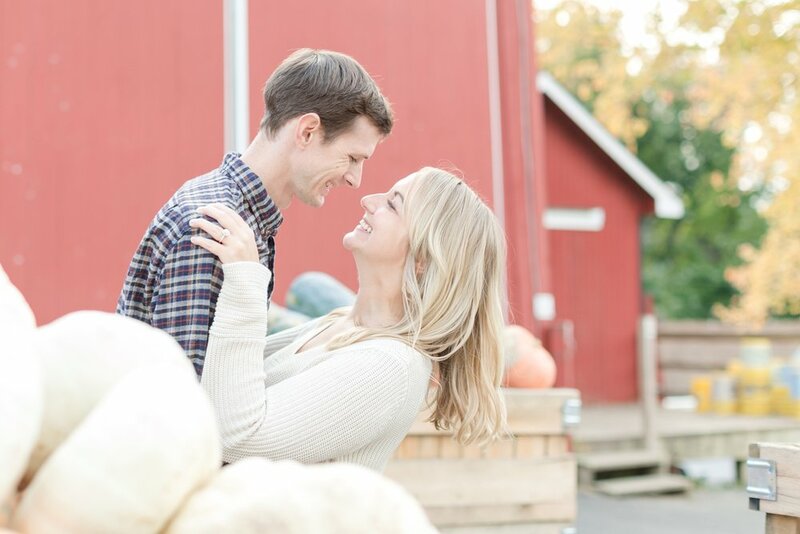 They chose to do their engagement session at Larriland Farm which was special for them for a few reasons. Taylor's Grandfathers' uncle used to own the property. How crazy is that! 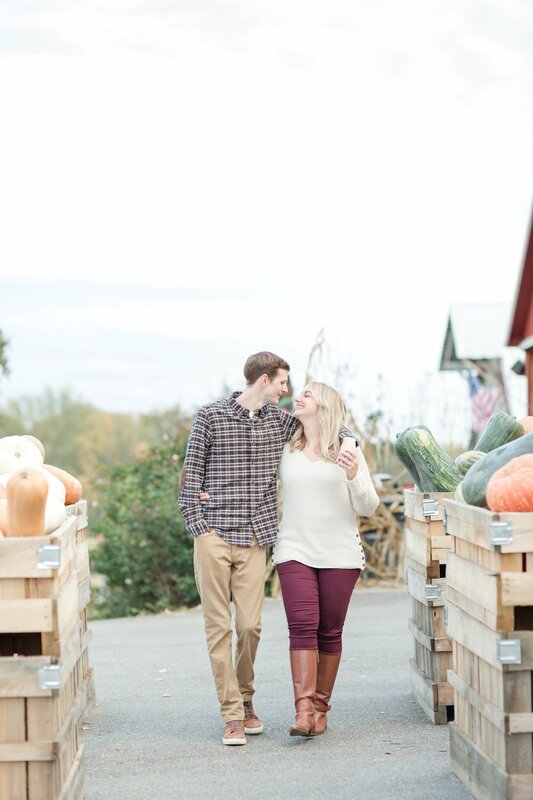 Courtney also fell in love with Larriland Farm in 2005 when she began going every October for Pumpkin picking. 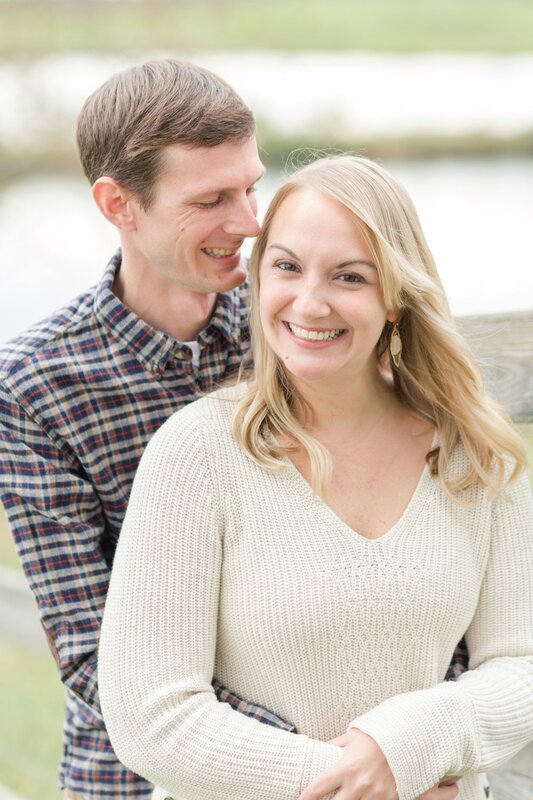 It was the perfect spot for their session! 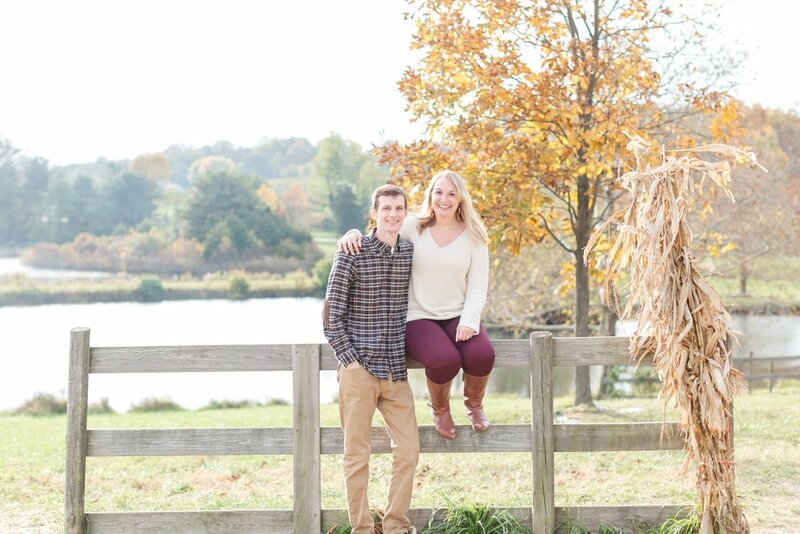 Taylor and I first met back in July 2013 when we joined a social sports kickball league in Canton together. Several years prior, I had met Taylor's co-worker when a friend and I signed up for BSSC football as free agents together. Taylor's co-worker was pushing hard for me to meet his co-worker and I was eye rolling equally as hard at the idea of getting set up. Finally Taylor's co-worker asked if Taylor could join our kickball team and as captain, I said the more the merrier. And the rest is how they say, history. 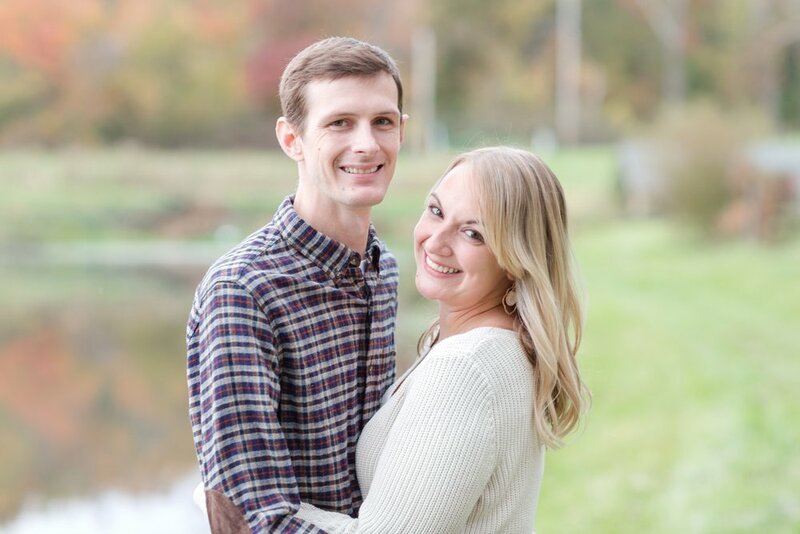 We like to give Taylor's co-worker a hard time that he had nothing to do with it, but he is a groomsman, so I think the cat is out of the bag that he played a huge hand in us meeting. Taylor popped the question on the first day of our vacation in Easton. We had just arrived at his family's vacation home and I was cooking dinner in basketball shorts and a t-shirt. Earlier in the day we had stopped at the Queenstown Outlets on the way into town and purchased some new clothes. Taylor suggested that we change into some new outfits and take a selfie down by the sunset. Never one to turn down a selfie or a sunset I willingly obliged. When we got down to the water as I was blissfully taking pictures of the sunset, Taylor got down on one knee. I screamed in shock (while he was still talking) and then before I knew it I was kissing him. We spent the rest of the evening polishing off a bottle of champagne his parents had hidden at the house (while letting dinner burn). It was perfect! 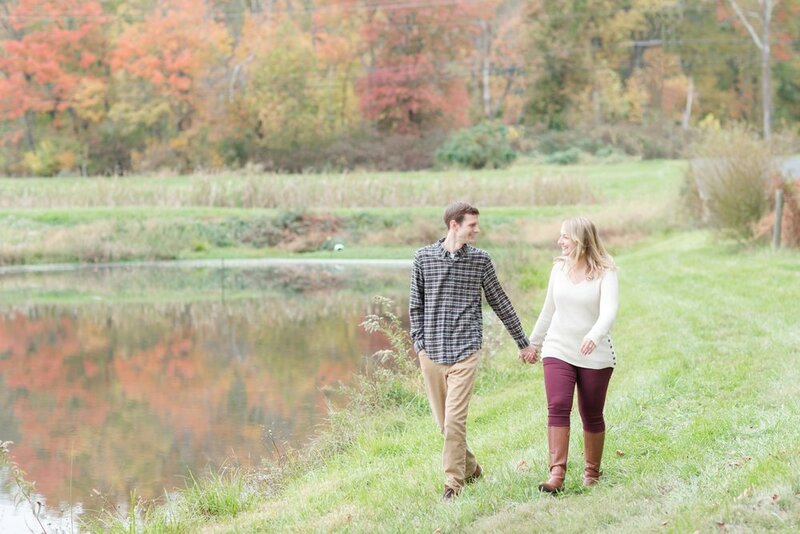 Enjoy Taylor and Courtney's adorable fall engagement session! Gorgeous ring. Great job Taylor! And there was a llama haha! It is always a good time to break it down and dance! 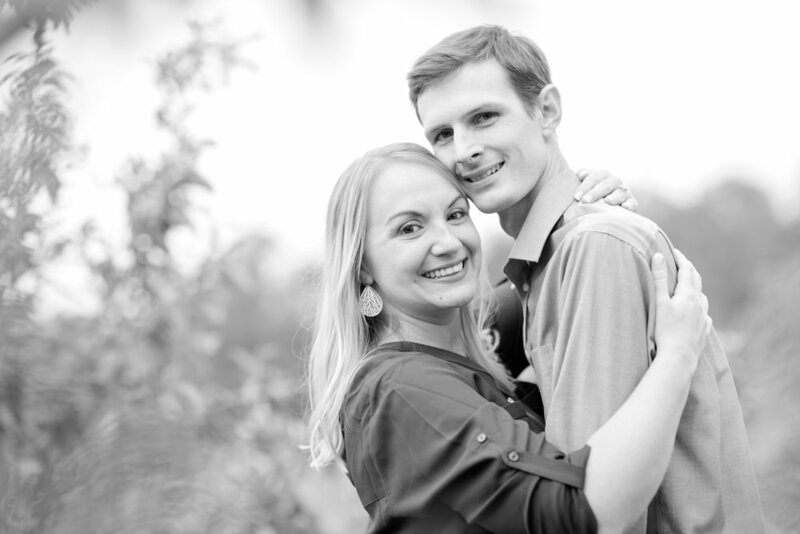 You two are so cute together and I can't wait to shoot your wedding next June! 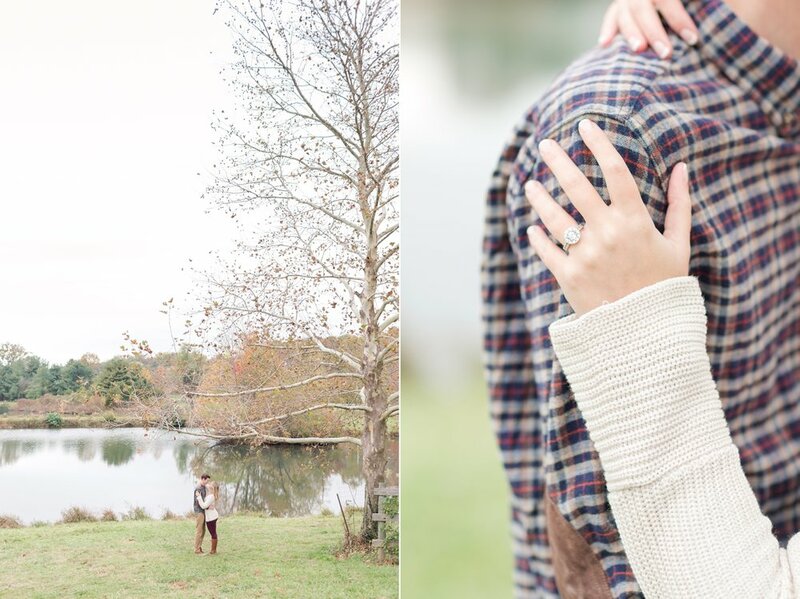 Want to see another fall engagement session? 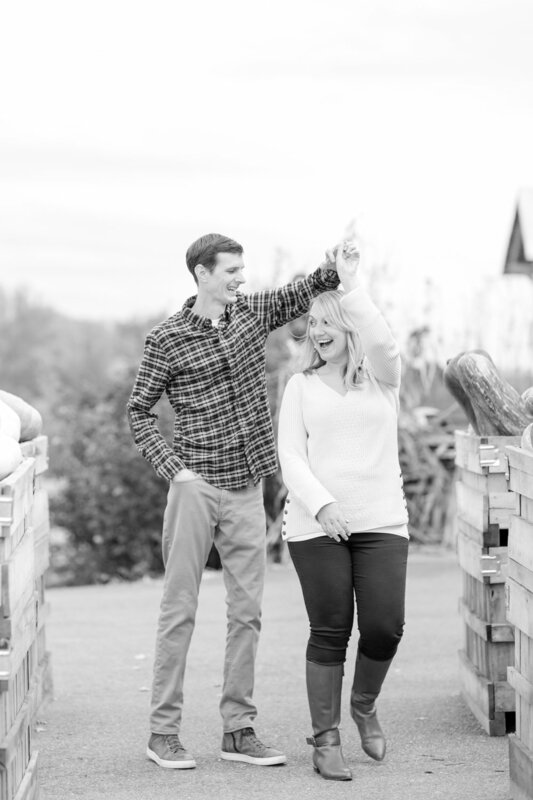 Check out Brian and Emily's romantic engagement session in Georgetown!